You might be surprised to learn that you may be able to solve many problems yourself temporarily until you can get to our office. 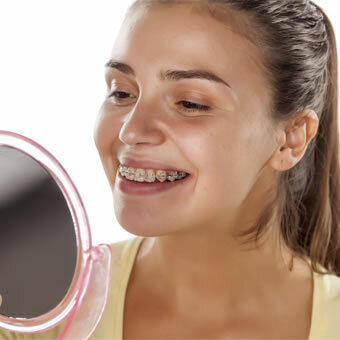 True orthodontic emergencies are rare, but when they occur we are available to you. As a general rule, you should call our office when you experience severe pain or have a painful appliance problem you can’t take care of yourself. We’ll be able to schedule an appointment to resolve the problem. Please do not hesitate to contact our office if you feel unable to handle a problem on your own, have questions, or need advice regarding discomfort with your orthodontic appliances. For those times when you need our help outside of normal business hours, and it can’t wait until our next business day, you can get in touch with us by calling or texting our Balhoff Ortho On-Call number at (337) 889-6019. At this number you can directly reach one of our helpful team members. If absolutely necessary, they will even make arrangements to meet you at our office! As always, we’re here to help make your treatment with Balhoff Orthodontics as smooth as possible! If there is a loose piece you can remove, put it in a plastic bag or envelope and bring it with you to your next appointment. Sometimes discomfort is caused by not wearing the headgear as instructed by your orthodontist. Please refer to the instructions provided by Dr. Balhoff. If the facebow (metal piece) is bent, please call our office for assistance. The headgear should hurt less the more it’s worn, so be sure you get in the prescribed number of hours. * PLEASE NOTE: Any tooth discomfort or soft tissue irritations that persist for MORE THAN TWO (2) WEEKS may indicate a more serious condition that warrants specific treatment by our office, your general dentist, and/or another dental specialist. Please notify our office and/or your general dentist immediately if any such condition should persist.